With thanks to Terry Longbottom for providing the scan and comments. Mrs Lea's First Form class at Glusburn Secondary School. 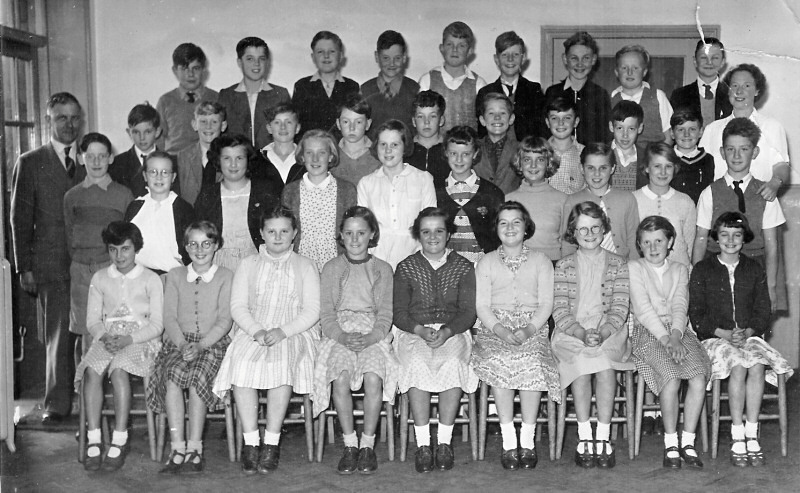 This was one of the last intakes of 11 year olds, in 1957 it morphed into Form 2A South Craven Secondary Modern. Second row up, fourth from the left is Kitty Whiteoak.